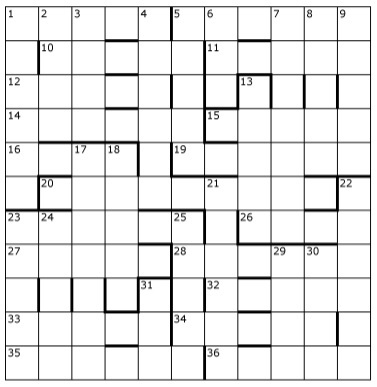 After the initial grid fill, solvers must exchange the contents of two cells. To help them decide which two cells these are, a hint is given by the single extra letters indicated by the wordplay in 13 clues. To enter this competition, send your entry as an image or in list format to ccpuzzles@talktalk.net before the 8th April 2016.The first correct entry drawn from the hat will receive a book from the Chambers range which has been donated by Chambers.